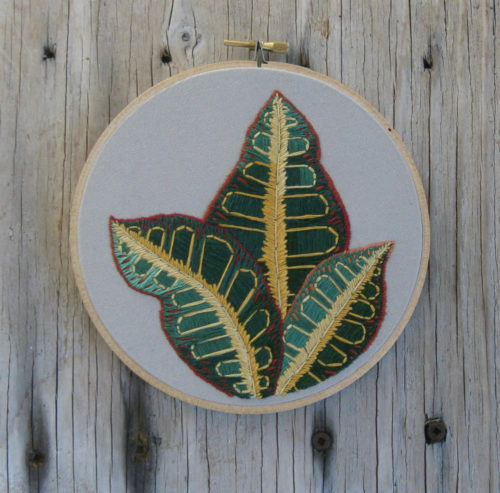 A one of a kind embroidery on taupe fabric in a 6″ wooden hoop that serves as its frame! 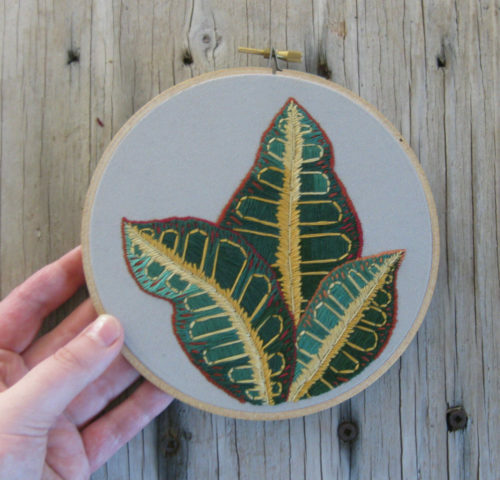 Inspired by a cool plant with amazing leaves called the Croton Plant! The extra fabric on the back has been trimmed and glued down for permanent tautness! Can be hung simply with a nail through the top metal piece. 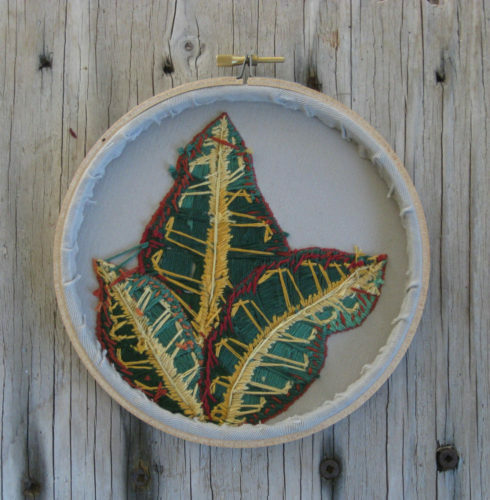 Each piece is original and drawn free hand onto the piece of fabric before being hand stitched. Can be picked up on Saturdays at The Uptown Winter Market or contact me and I can deliver! I have been making art since I was a child, my family and I would go camping every summer and paint on shells and rocks and wood, and I just never really stopped! I love to draw, embroider, and paint different scenes of places where I would love to visit or live. I am heavily inspired by my own town of Powell River! 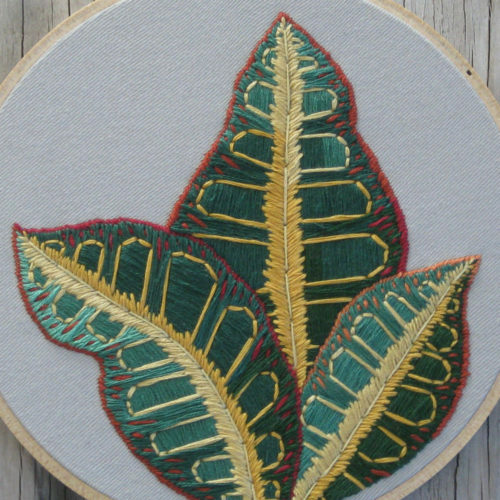 Check out my online store for more!